With a two launches in December 2017, Honor decides not to take a break and it launched in this 2018 a new device the Honor 9 Lite. The highlight feature of this smartphone is the quad cams presented on the device plus the mirror-like effect at the back of the product. This characteristic added to the impressive and elegant build quality makes the appearance of the phone a real attractive one, although it sports a plastic frame instead of a metal one. Also made of plastic are the volume and power buttons, but they have a real nice tactile feel to them. The display stands at 5.65-inch in a 6-inch body with a 7.6mm thickness, making the product a compact and well hand fitted and it is also not really heavy at 149 grams. The Honor 9 Lite comes with a 18:9 aspect ratio and a Full HD+ resolutions giving it a high pixel density of 428ppi. The user can make the resolution lower to 720p to save battery. Color reproduction and text display are at their best, but the viewing angles are limited. The smartphone has been designed with the idea of a multitasking device which functions perfectly for business performances as well as gaming options. Nevertheless, some graphics-intensive games go a little choppy and also cause the top part of the device to get a bit warm. The battery life is restricted to one day in normal usage, but the fast charging technology from the company makes it a plus for this smartphone. As most of the newest cellphones, the Honor 9 Lite uses a hybrid setup for SIM cards and it can hold two nano SIMs or one SIM and a microSD card, up to 256GB. On the photographic area, the device offers a dual set of cameras both front and back. There is a 13 MP + 2 MP camera with the 2 MP one works as a support for capturing depth information and improving low-light conditions. Shots are captured with good quality most of the time, but occasionally colors are not clear and a mild noise can be spotted when zoom is made. Selfies turn out to be pretty good, but in low-light conditions, the camera tends to take a few seconds to focus and there are some blurs presented in all shots. It is good for the casual photographer, but not recommendable for professional use. The Operating System is Android 8.0 along with the EMUI 8.0 layer on top of it. An improvement over the last OS on this line, the EMUI OS runs fairy well on the device though it is not as fluid as Android. A good preset of applications makes it a good product to run certain business and personal apps as well as some gaming. 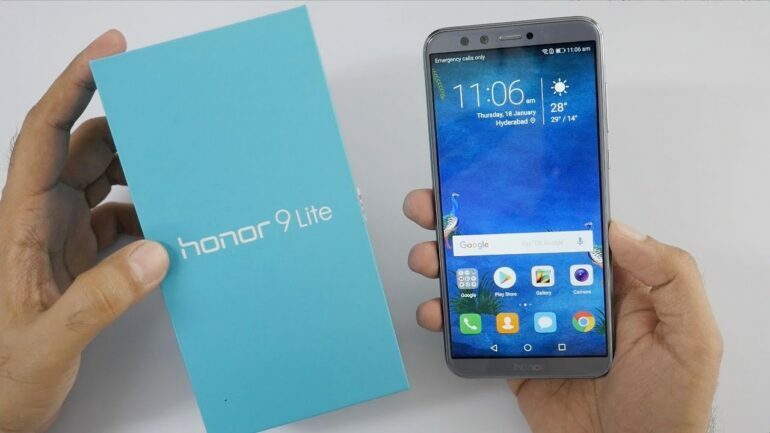 The Honor 9 Lite smartphone is an affordable mid-range smartphone with a stunning design, the latest Android version, front and rear cameras, and a great 18:9 display. It is a recommendable product for casual smartphone users, but it has its shortcomings related to expanding RAM memory with prices overpassing those of other devices in the same range. Moto X4 Review, Better To Avoid?